Damn dawg how u been? Lucario's actually not that good and is gonna get worse over time, calling it now. I don't celebrate christmas but thanks either way. When I click the link ... all I see is some text that says "I didn't think about the dash-to-shield point." I'm sure you meant to show me something else? I change them for no reason from time to time. It means nothing. Thank you for spreading the truth about Cloud Strife in Smash Bros. I'm pretty sure pre-patch Sheik was even worse for him tbh (probably not as feasible as current Sheik) and the nerfs only made the MU doable and realistic. Your talk about how Cloud isn't a Top 3 char is pretty much on point IMO. After a long amount of deliberation and experimenting I think he sits at like, 4th-6th place, lowest like 7th. He's a little shaky consistency wise and that hurts compared to Diddy, Rosa, and Bayo even tbh. Those three chars I think are definitely better than him even if he beats Rosa. It's good to see him back to potency, a more nerfed top tier benefits him a lot. I think he's still mid-tierish at best, but I think people need to learn the match up to not lose to him. Have you heard of the French greninja elexiao? He's PRed #6 in France IIRC. I'm not sure how strong France is though. Shame. I think you'd be a good fit. ... I wouldn't. Trust me on that. Who is that in your profile? I'm culturally inept. No, but you are culturally inept. "Once Cloud settles in to Top 10..." No one else said anything in direct response, but I will. He's definitely seriously that good right now IMO. Like, I can't name anything outside of recovery and throws that isn't overtuned/mad good on Cloud. Disadvantage would actually be troublesome but he has one of the dumbest Dairs I've ever seen. Won't take long until people will realize it, no worries. Genesis is gonna be a Mako-fueled bloodbath for sure. I look forward to seeing Cloud at a supermajor. why is an arcanine in everyone of your posts? It's a thing that started among Wolf mains in the Brawl. I'm the only one left who does it though. "I thought you said you played this character"
There you go. Trap sprung. You escape your poppycock as intended. 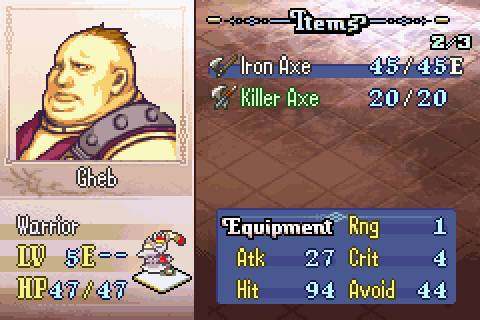 BUT I SEE YOU GHEB. I actually have no idea what the hell you are talking about but I find it amusing nonetheless. Your habits are well understood at this point of the metagame Gheb, It would have to be amusing for one to take interest. Hello, I was wondering if you perhaps know where one should go to watch japanese games? I like only know about the Shi-G channel. "Yeah, no way this won't be suggested then. This is ridiculous and should've been removed with the very first patch." Be more constructive please, zomg. I love your response to bits, holy crap. Since I guess you missed my post before. y do the japanese believe Yoshi is good when there's no matches of him I've seen. Same for Rosalina too, I mean I seen matches of her but she seems underwhelming and I found Sheik more of a hidden monster than Rosalina. I don't know their exact reasoning on why these characters are so good. I personally agree with it though. Sheiks not a "hidden monster" - everybody knows she's good. She's even on top of the Shigaming tier list. Rosalina is OP and she has an incredible playerbase [Rain, dabuz, 9B] that will advance her metagame very fast. O meant to say Rosalina for the monster. Prolly add in Shulk Megaman and Little mac too in that list. tell them to fix this. yo pm me why two people died in your game, im not sure how that worked with that setup? This is a message saying that Nabe has enabled players to prod other others in KvK and I would appreciate your at least posting in the thread occasionally if you won't replace out. I don't play mafia anymore. If you can't find a replacement for me I'll request my own modkill. Alright. I'll let the thread know. Gheb do u still use skype? Hey, for P&S III, I have four CIS's right now. If you and DtJ are still interested, we could have six people start after the weekend is up. Not to clutter the thread anymore, but your explanation is probably why that word came to mind. German makes some distinctions like that, and those are still wired in my brain. I forget English words a lot, even though I'm slowly losing my German after being away for a year. Yeah! I also beat his MK in 3 MM'es.